This is the second screencast published on this site that is based on an interview I did with Prof. Louisa Stein from the Film and Media Culture department. 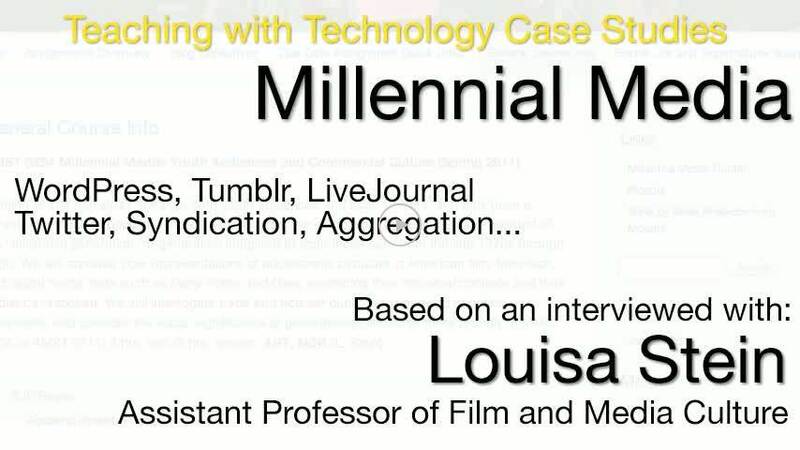 In this screencast Prof. Stein discusses her course on Millennial Media. In this course, students were required to create their own blogs and to post to Twitter. To encourage students to read each other’s work, Prof. Stein created “blog collectives” and required students to comment on the blogs of students in their collective. An additional site was set up for the course that aggregated posts from all student blogs using the FeedWordPress plugin. This entry was posted in Feedback, Film & Media Culture and tagged blogs on December 8, 2011 by Alex Chapin. 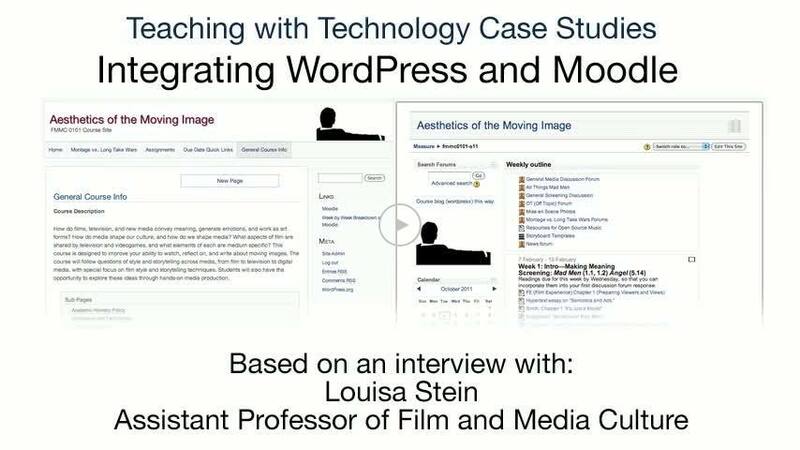 Louisa Stein is an assistant professor of Film and Media Culture who used both Moodle and WordPress in the spring of 2011 for a course on the “Aesthetics of the Moving Image.” Prof. Stein used WordPress for the public face of this course and Moodle for the weekly outline of readings, online discussion and assignment submissions. Watch the screencast below for more details. Prof. Stein used Moodle to distribute readings, collect assignment submissions and as a place for online discussion and used Moodle’s grading functionality to grade assignments and forum posts. This screencast is the first in a series based on an interview Alex Chapin did with Louisa Stein in the spring of 2011. This entry was posted in Collaboration, Discussion, Feedback, Film & Media Culture, Formative Assessment, Summative Assessment and tagged blogs, forums, lms, video on October 11, 2011 by Alex Chapin. Learning objective: To monitor the students’ understanding of concepts covered in lecture and promote peer learning and discussion. This entry was posted in Biology, Discussion, Feedback, Formative Assessment and tagged clickers, polling on June 17, 2010 by Carrie Macfarlane.